Save and organize as many different Sentences as you want. Easy to use icon buttons can help you do a variety of tasks with each Sentence. Get started with minimal information for each Sentence. Easy to understand, one-click options make it fast and easy for you to select only the PRVs relevant to each case. You can quickly expand the instructions for each PRV, if needed. 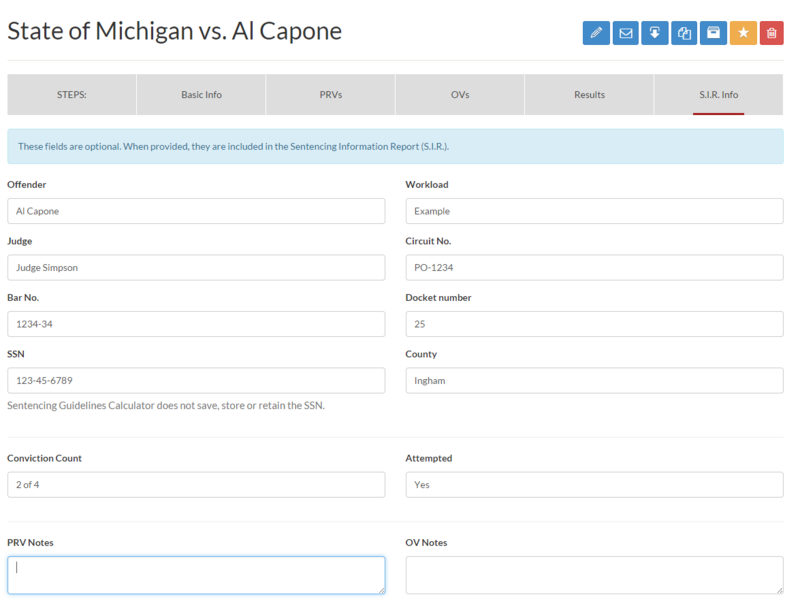 Easy to understand, one-click options make it fast and easy for you to select only the OVs relevant to each case. You can quickly expand the instructions for each OV, if needed. This Results page allows you to review a summary of the information you have entered as well as highlighted results of the Calculation. 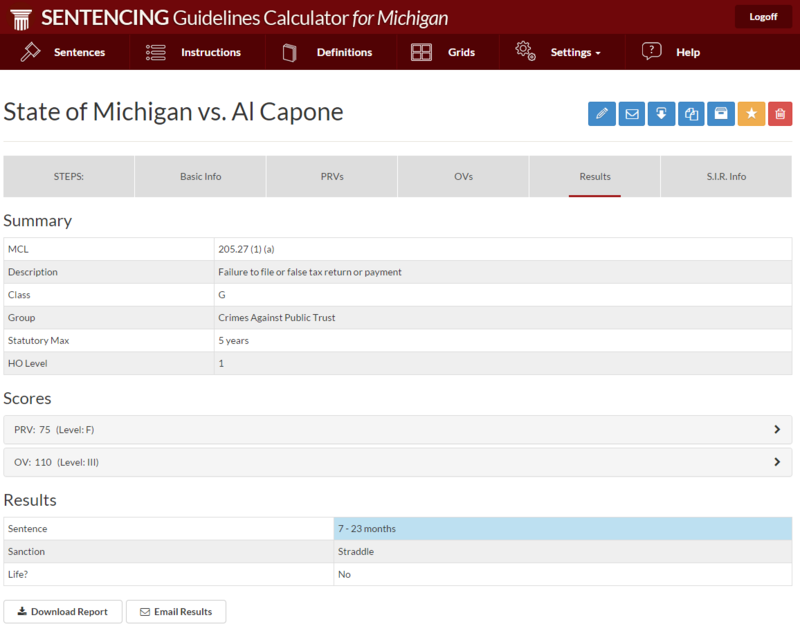 The Sentencing Grid for the Crime Class will also display on this page with the resulting cell highlighted for easy locating. This page allows you to enter all the additional information which will be printed on the Sentencing Information Report. 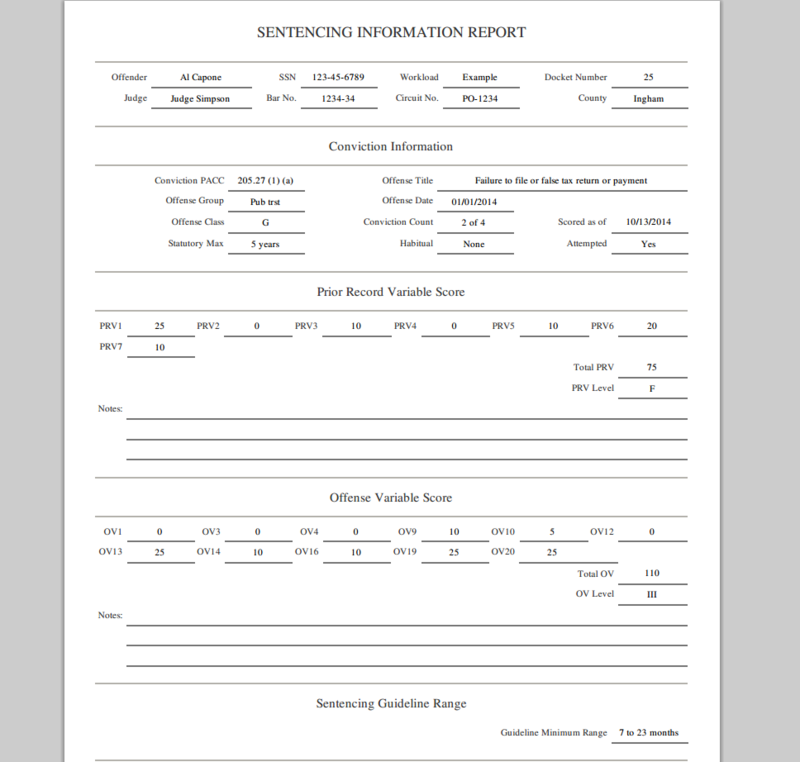 This app creates the standard “Sentencing Information Report” in a PDF file so that you can easily print it, download it and/or email it. 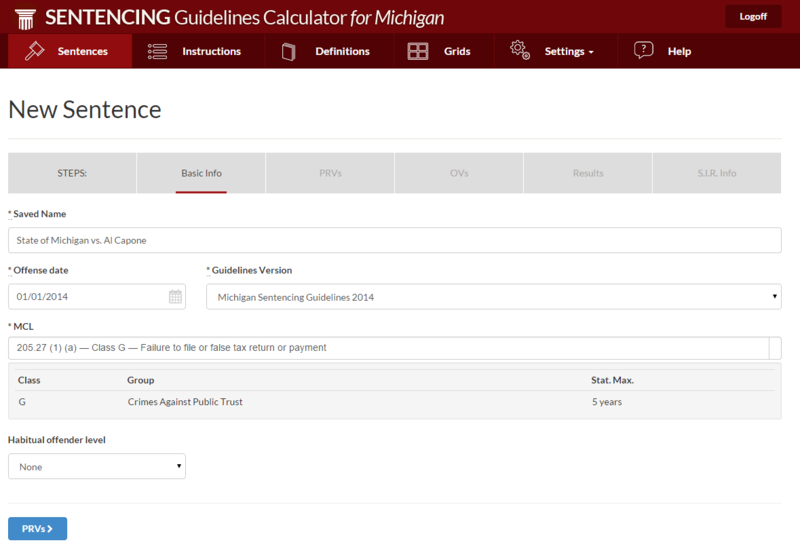 Sentencing Grid and more detail will be created on additional supplemental pages of the PDF file.